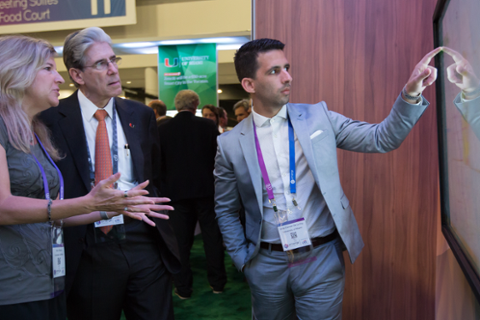 President Frenk views the Miami Affordability Project (MAP) at eMerge Americas conference. 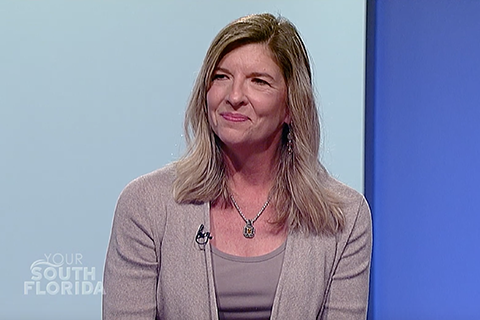 Assistant Provost for Civic and Community Engagement, Robin Bachin, talks to CBS to discuss sea level rise and affordable housing with PBS. Climate Gentrification: Is Sea Rise Turning Miami High Ground into a Hot Commodity? Miami faces anywhere from 14 to 34 inches of sea rise by 2060, and some believe developers see the scarce high ground (much of it in the city occupied by low-income communities of color) as a safe investment. They call it climate gentrification. The Office of Civic and Community Engagement (CCE) fosters university-community collaboration by engaging the university’s academic resources in the enrichment of civic and community life in our local, national, and global communities. We seek to accomplish this goal by connecting students, faculty, and community organizations together in a collaborative process that translates academic knowledge into civic responsibility to promote positive social change. CCE has that ability to know and bring together all the right people at the right place and time, in the right forum, and with the right information.